Although Wednesday’s Bank of Canada rate hold was largely expected, variable rate mortgage holders are likely still breathing a sigh of relief. After raising interest rates at each of its previous two meetings, the Bank of Canada on Wednesday took a pause and left its overnight rate at 1.00%, citing concerns about NAFTA renegotiations and a strengthening dollar. 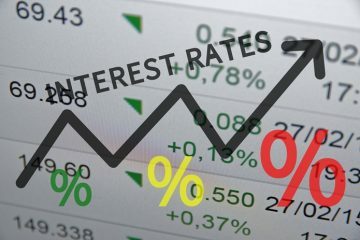 Since the BoC raised rates at its July and September meetings, variable rate holders have seen their mortgage carrying costs increase since those mortgages fluctuate based on prime rate, which is influenced by the central bank’s overnight target rate. McLister says that for an average borrower, every 1/4-point hike translates into more than $1,100 extra interest over five years, for every $100,000 of mortgage. While most rate hike forecasts have been revised down, the market is still pricing in at least two rate hikes in 2018. But as CIBC economist Nick Exarhos wrote in a research note, it appears the BoC is back on the sidelines for now. “The Bank of Canada wants to monitor how its interest rate hikes will impact the economy, and as a result it will be ‘cautious’ with further increases in the overnight rate,” he wrote. CIBC is one of the banks forecasting 50 bps in rate hikes by the end of 2018. BMO, by contrast, is sticking to its call for a further 100 bps of tightening, though economist Doug Porter noted a rate hike in January would postpone further BoC action by a quarter, and in that case result in 75 bps of cumulative tightening by the end of next year. However, McLister said that while GDP is currently stronger than expected, inflation is not, which is why he believes aggressive tightening next year is unlikely. “Unless inflation hurtles to 2% in short order, more than 1-2 hikes next year is ambitious,” he said. What Does This Mean for Mortgage Holders? While mortgage rates have edged up following the last two Bank of Canada rate hikes, they are still relatively low by historical standards. Some of the best deals right now are to be found in short-term fixed and variable rates. A recent report from Scotiabank warned that mortgage carrying costs could increase in the next two years due not only to rising rates, but new mortgage regulations. The Bank of Canada’s next rate decision will be made on December 6.